I've been meaning to take a look at the issue with my rear left inner/boot tail lamp cluster for some time but never get enough time. 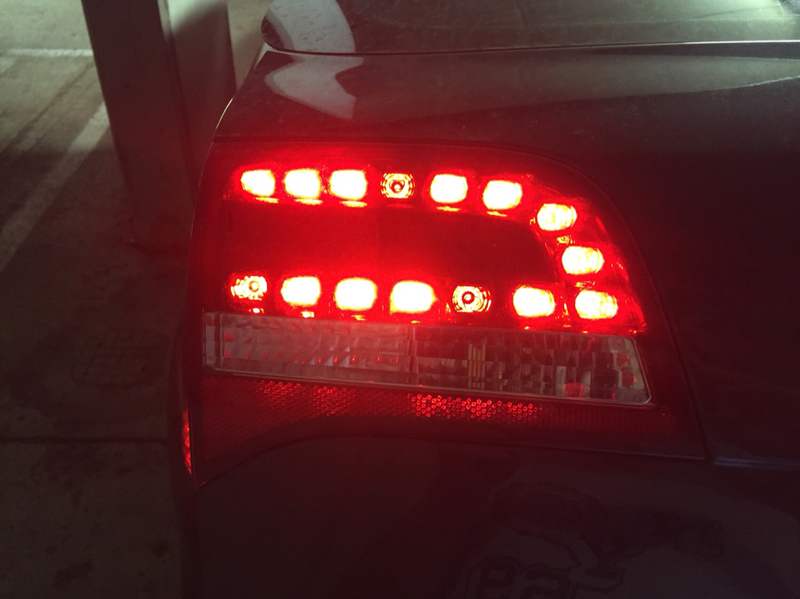 Few of the LEDs are not fully lit up compare to the rest of the tail lights. I can seen in the rear view mirror how the tail lights look like in the reflection of the bus windscreen, when behind me stationery, and it looks ugly. Like a mouth without a tooth. Well, few of them. Seen YT video of the guy pulling apart A6 Saloon version of the tail light with same fault as it had cold solder (according to him). He showed how the leds are not lighting up fully and how, after the re-solder they do work perfectly. Question I have "is it easy to separate the light cluster cover without any damage/chip to it"? The guy from the video was using flat screwdrivers only and managed to do it without any damage to the light. Anyone had a chance to do similar type of operation? I've looked at the same video. I'm pretty sure he would have heated up the cover before prising apart as the lens is glued to the light body to make it watertight. Some people recommend putting in the (kitchen) oven (not microwave lol) to soften the glue, then prise apart. I thought so aswell, to heat it up but with heat gun. Scared if I put it in the oven it may het damaged or deformed. Light is working (well, not 100% but still) and I wouldn't want to just dump it when purchased the new one or good condition second hand. I'm a type of person that likes challenges and love diy+salvage. Got the gear and idea of how/what to do, just lack of time. Might pull some night shift and just give it a go. Have you checked there's no corrosion on the connectors? Had the cluster out the other day to check how to get to it. 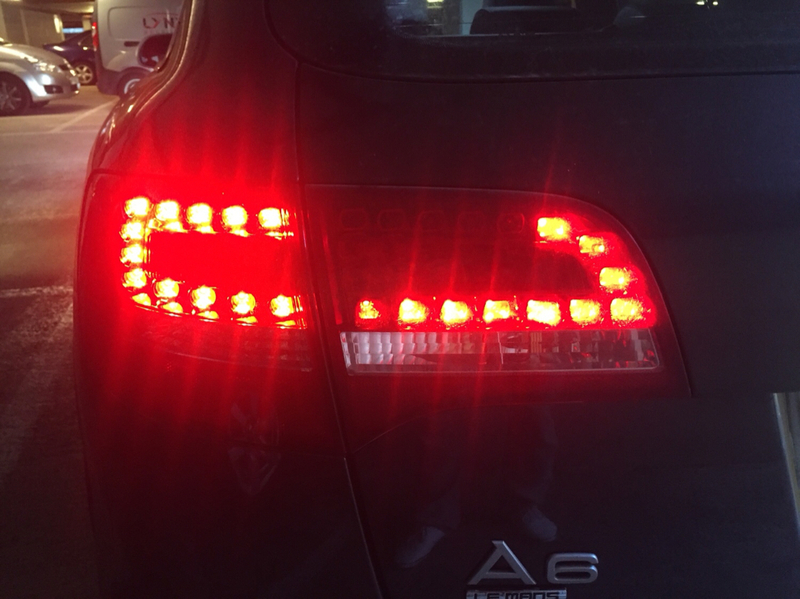 Recently noticed in the reflection of another vehicle parked up rear end to me that, few other leds in the stop light do not light up. I don't know if there is a point in opening the lamp and re-solder the led connections on the circuit or not. Have anyone encountered the same problem? "Cold Solder", I think he means dry joint. Cold solder is a term used to describe loose connection between electronic component (led in this case) and the connector on the circuit board. Connection is there but not strong enough to allow "full stream" of current. Hence led not fully lit up. I've cleaned and scraped the connectors and nothing. Took the whole lamp out and back in again and still nothing. Finally, after months, I have decided to attempt fix on that lamp. After hours of fiddling with smd leds on fragile tape, I’ve sorted the two bottom leds but ... f’d a row of top 5 ones. There’s a upside of it. 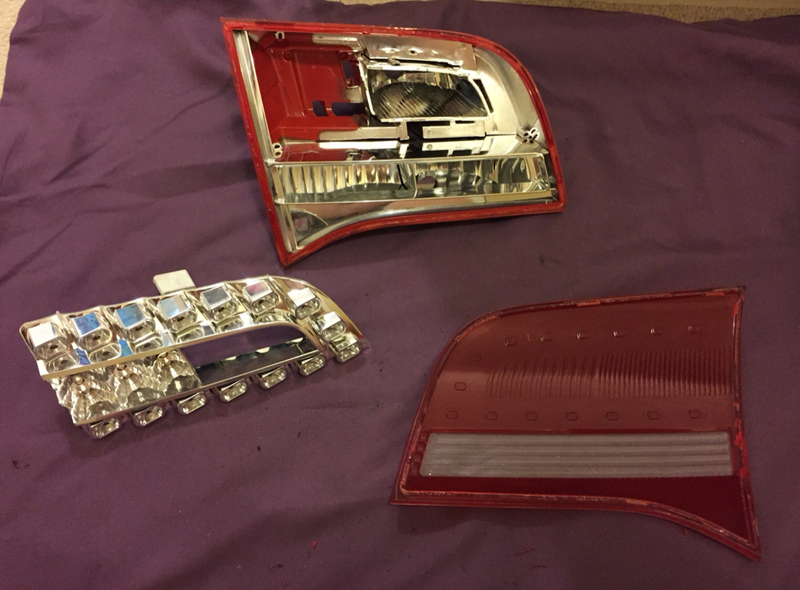 Both of the tailgate lamps had micro/hairline scratches or cracks and were dull. Valeo parts turned out to easily give way and crack under UV rays and loos its shine.